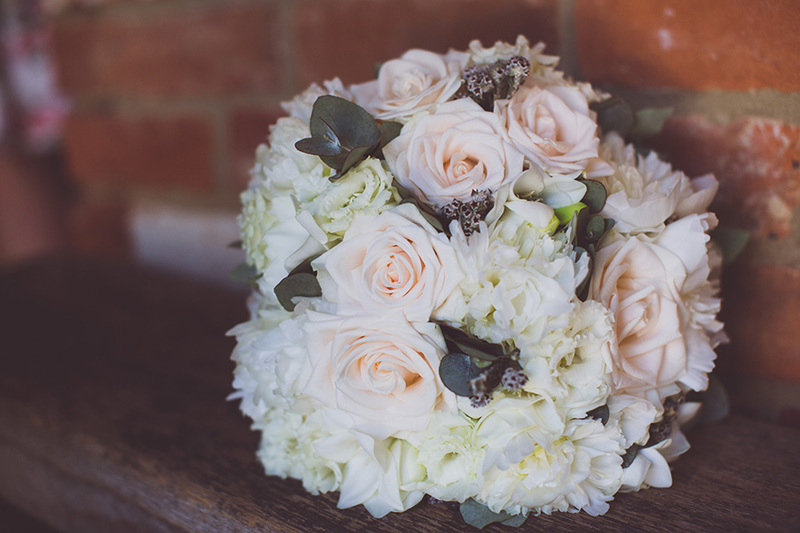 Charlotte and Michael held their wedding at Rivervale Barn in Hampshire. In the midst of summer, this happy day encapsulated romance, a beautiful colour scheme and a wonderfully relaxed vibe. 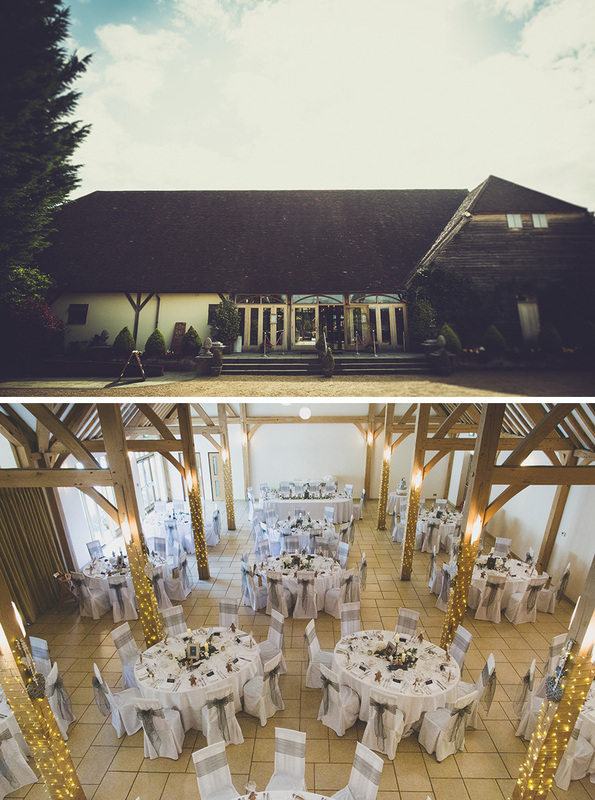 On the look out for their dream wedding venue in Hampshire, when Charlotte and Michael saw Rivervale Barn, they knew it was the one. Setting an August wedding date, the happy couple wanted to create a shabby chic theme with rustic wicker hearts, rose petals lanterns and delicate pastel shades. 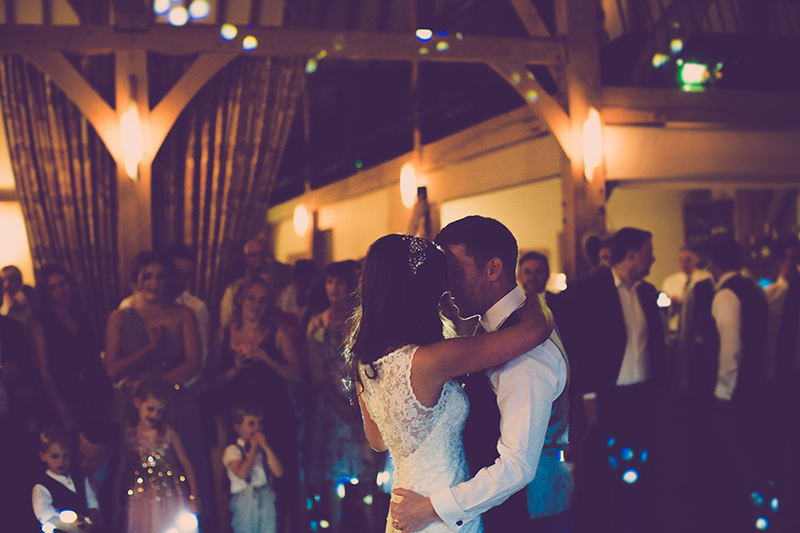 “The barn was so beautiful on its own, I wanted to sick with a natural look,” says Charlotte. Charlotte’s father is a display artist so made most of the decorations, from the wicker hearts hanging from the beams in the barn to the wooden Polaroid photo holder. Polaroid cameras with selfie sticks and props proved a great talking point with guests and created a fun, relaxed atmosphere. Centrepieces were simple and elegant - individual flowers in delicate vases with roses sprinkled around the base. When it came to bouquets, Charlotte carried an arrangement of ivory and Champagne coloured flowers while the bridesmaids’ posies were lovely hydrangeas. Bouquets and ceremony arrangements were then used again during the wedding breakfast with the bridesmaid posies sitting in vases on the top table. Charlotte wore a stunning mermaid style lace gown by Sottero & Midgley. The beautiful bride completed the look with ivory and silver shoes by Rachel Simpson, earrings from Michael’s mum as her ‘something borrowed’ and her nan’s eternity ring as her ‘something old’. 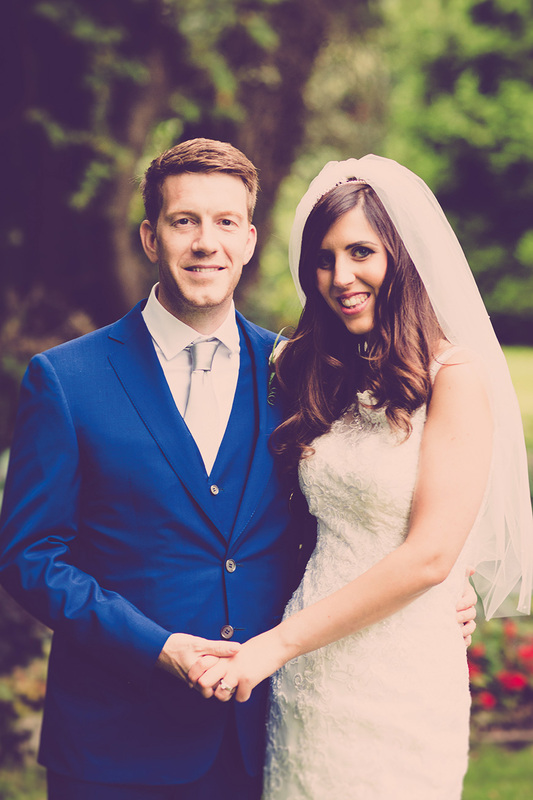 The six bridesmaids wore Little Mistress dresses from ASOS and Michael looked the part in a bright blue suit from Canali. 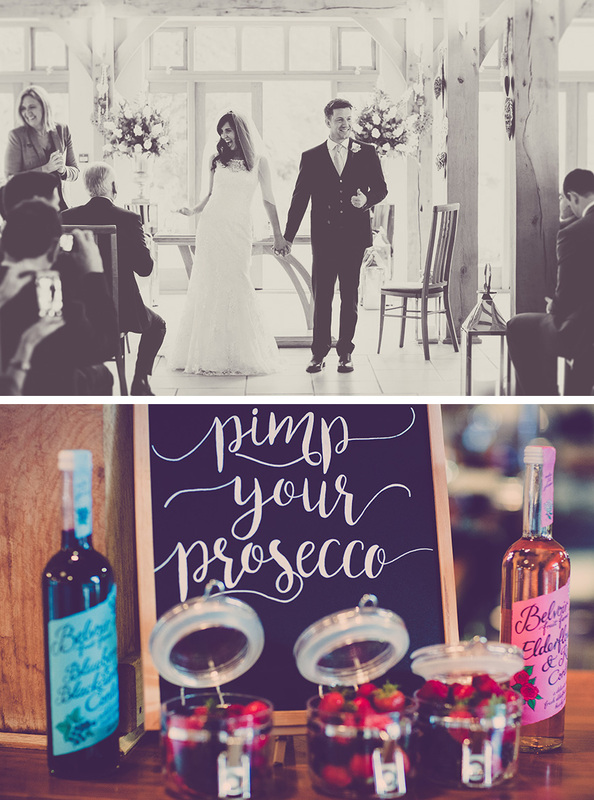 Following their ceremony at Rivervale Barn, drinks and canapés were served in the courtyard. Moving inside to dine, a delicious wedding breakfast commenced with warm Scotch egg followed by fillet of beef and a triple chocolate torte. A DJ played throughout the day, from funky house music for the welcome drinks to the Radio One Live Lounge during the wedding breakfast. As day turned to evening, the newlyweds danced their first dance to ‘Iris’ by The Goo Goo Dolls. A fire pit barbecue served burgers, halloumi skewers, hog dogs and chicken kebabs and proved the perfect choice for this summer celebration.